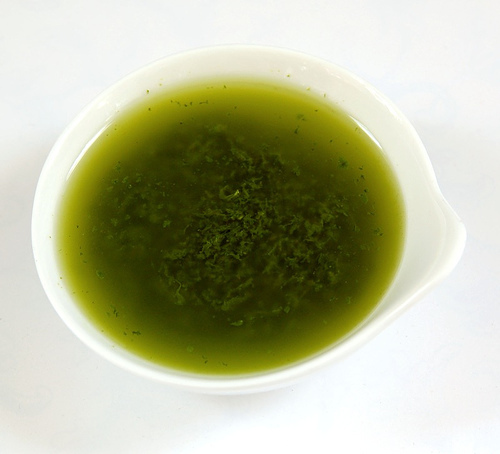 Salmoriglio is a Southern Italian condiment made of lemon juice, olive oil, minced garlic, chopped oregano and parsley, salt and pepper. It is usually served with seafood or grilled and roasted meats. In some American applications, salmoriglio is served as a compound butter, slightly soft and whipped, containing Dijon mustard, lemon, olive oil, and fresh herbs. Recipe for Salmoriglio see Here and Here.